Apple’s virtual assistant, known as Siri, is on the verge of becoming obsolete. Wowing users with conversation and instant knowledge is one thing, but Viv, the latest artificial intelligence bot from Siri’s creators, can do much more. For as long as Siri has been around, four years, creators Dag Kittlaus and Adam Cheyer have been developing Viv, and on Monday, the public got its first look at what she ... er, it can do. Whereas Siri could pass along questions to search engines, “where the magic comes in” with Viv is in its “dynamic program generation,” a yet-to-be patented technology that Kittlaus described as “software writing itself” during a 20-minute demo at TechCrunch Disrupt NYC. Through a technology known as Nuance, Viv is able to turn sounds into words and find the “intent” of the “natural language” the user speaks with. "Get me a nice room in Palm Springs for Labor Day weekend" was another of Kittlaus’s queries, which was resolved live in about the same time. Only an easy push of a button was necessary to confirm the hotel booking. It was reported that it had previously managed to complete complex tasks such as finding a bottle of wine that paired well with lasagna, from a shop located on the way to the user’s brother’s house. Third-party companies like Hotels.com or ProFlowers, as part of Viv’s “brain,” offered options of products and services to select, appearing to surpass the quality and convenience of the Amazon Alexa app and Facebook Messenger bots. 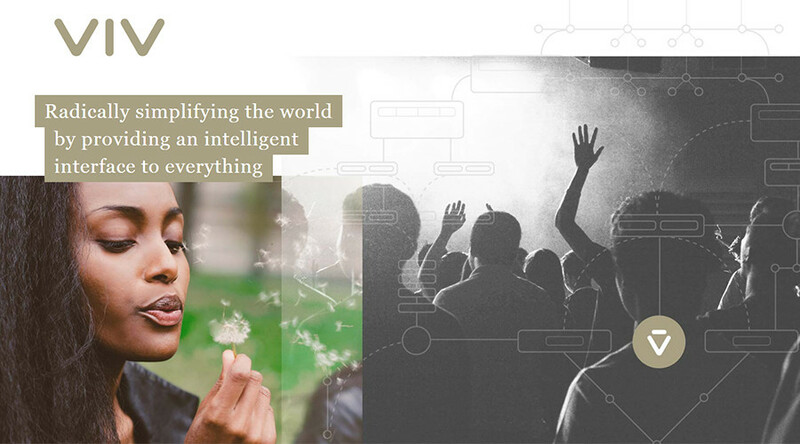 "Intelligence becomes a utility" is the tagline attached to Viv, which picks up daily or casual language. “Viv's goal is to be ubiquitous so it will understand your preferences and history as you engage with it on your mobile device, or in your car, or with your smart device at home," Adam Koopersmith, an investor in Viv with Pritzker Group Venture Capital, said, according to The Verge. "Our sense is there will be a move away from having hundreds of different apps that act independently. These services will be integrated into everyday life. Viv will be the platform to enable it." That depends on whether third-party businesses will be intrigued by Viv’s artificial intelligence, or AI. For every verbal command made, Viv can show its code, the pathway it used to attain the answer. If developers can alter that and Viv can learn from their changes, the potential for both human and AI learning is big.